Subpar filtration on a tire plant’s tire grinding systems was wreaking havoc on servo valves. In one year this plant repaired or replaced 198 valves. 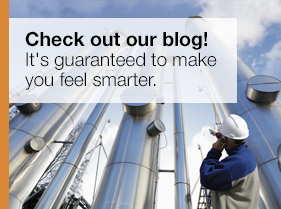 Read on to find out how much the FPL was able to reduce failures! Lower environmental impact through fluid conditioning. At Hy-Pro Filtration our objective is to optimize the reliability of your hydraulic and lubrication assets and keep your plant operating at peak productivity. Our innovative filtration products solve a range of contamination challenges including lube oil varnish, phosphate ester fluid maintenance, servo valve failures, gearbox filtration, oil reclamation, particulate contamination, removing water from oil, and many more. Our expertise and shoulder to shoulder commitment to solving your fluid contamination challenges set Hy-Pro apart. Make us a part of your lube team and we'll help you develop a total system cleanliness approach to yield a more reliable plant and keep your world turning. View our products pages to learn about our vacuum dehydrators, diesel and turbine oil coalescers, soluble varnish removal systems, filter element upgrades, filter assemblies, filter carts, skids & panels and more!